When you ask most gourmands, "Where's a nice place to eat in Kapitolyo?" most likely Charlie's Grind and Grill would be in the top five places that would be recommended to you, top three even. 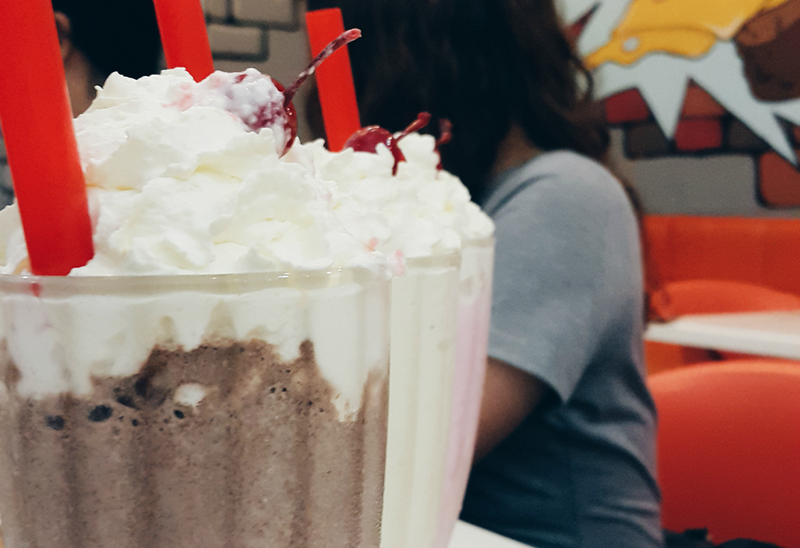 They're one of Manila's best when it comes to burgers. In fact, when I started this whole blogging about food, this much-loved burger joint was one of the places I visited and wrote about. Sadly, that was the first and last time I ate at Charlie's. I attempted once before in their branch in San Juan but we were too early and too hungry to wait for it to open. I received another invite from Zomato to join their foodie meet-up about 3 weeks ago (super late post, I know)! I've been asked to go a couple of times before but either the event gets cancelled or I'm not available. So technically, this was my first time participating in their foodie meet-up! Even greater news is that it will be held in Charlie's Grind and Grill Kapitolyo! Finally! Black truffle fries (PhP 210). Fresh Igorota Idaho potatoes tossed in truffle oil and truffle salt, topped with grilled chicken liver. 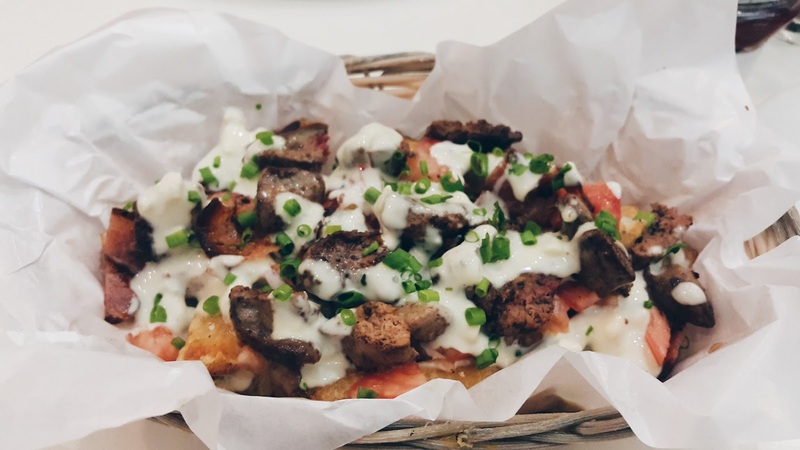 Dirty fries (PhP 195). Fresh Igorota Idaho potatoes with rock salt and ground black pepper, with bleu cheese, bacon bits, diced tomatoes, green onions, topped with grilled chicken liver. I don't like chicken liver at all (I don't get it why my brother loves chicken liver adobo!) So when these two appetizers were served, I was a bit hesitant to try them. Between the two, I prefer the latter, the Dirty Fries, just because the fries were slathered with bleu cheese (yum) and topped with bacon, scallions and tomatoes! I wouldn't mind chewing and tasting a little bit of liver here and there for it. 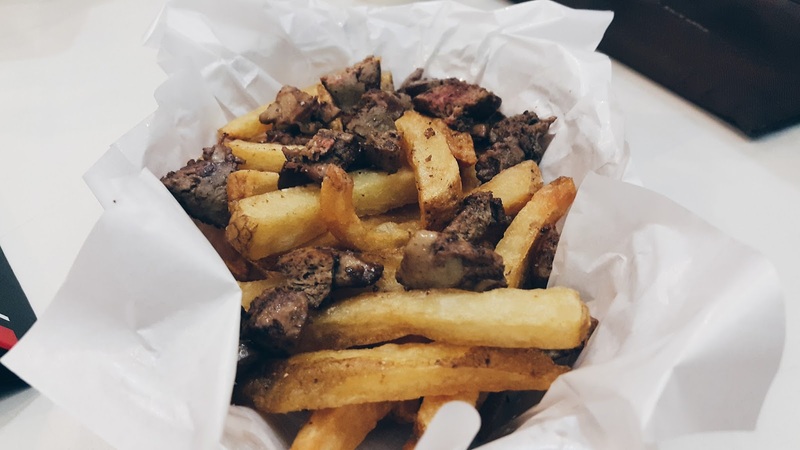 The crispness of the fries were consistent on both dishes, and they were flavorsome on their own! 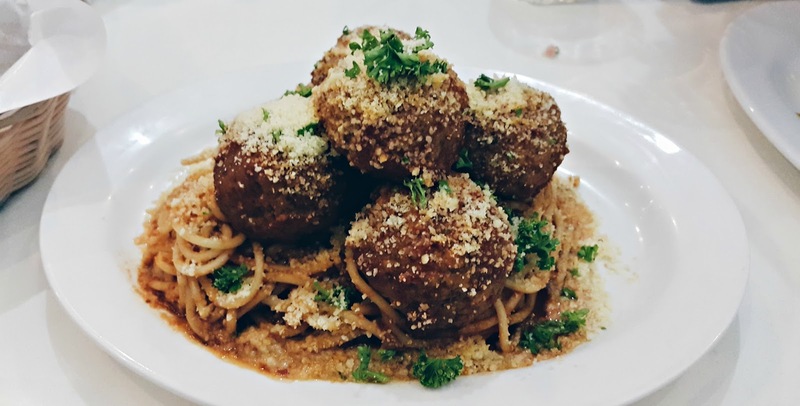 Meatballs Marinara (PhP 330). Made from fresh Italian sausage with grated parmeggiano regiano and parsley. 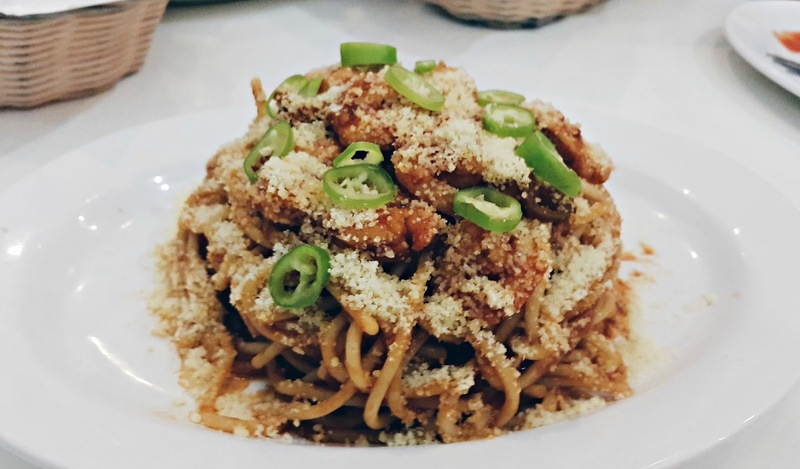 Their red sauce pasta was very traditional, it kind of reminded me of Shakey's Spaghetti with Meatballs. Nothing out of the box, just a classic tomato spaghetti with chunky meatballs on top. The meatballs were quite crumbly though, it fell apart into smaller pieces when I tried cutting it in half. Reversed Buffalo Wings (Half dozen - PhP 345 / Dozen - PhP 590). Now this one is interesting. I was excited to try this one because I love chicken wings in any way it's cooked. Haha. I usually order Yellowcab's box of 4 Hot Wings and finish it in one sitting. So I was really curious about the Charlie's "reversed" version. Instead of the usual tangy and spicy wings paired with a cheese dip, it's the other way around. 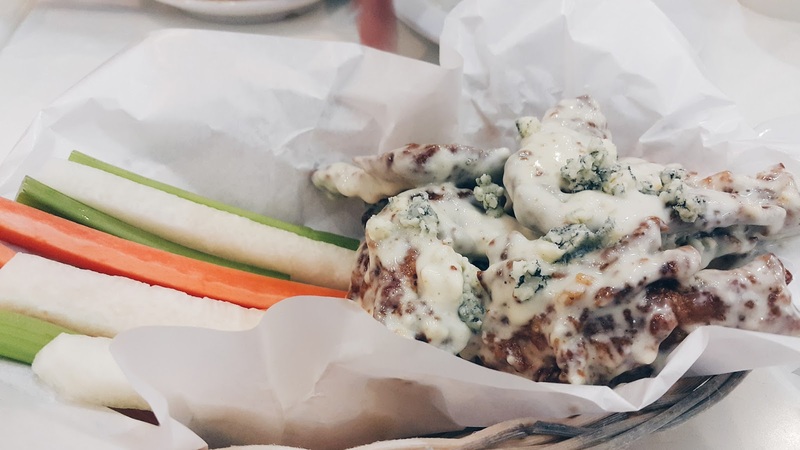 The perfectly fried and juicy chicken wings are coated in bleu cheese and you get to dip them in tangy and spicy buffalo sauce! I love it! 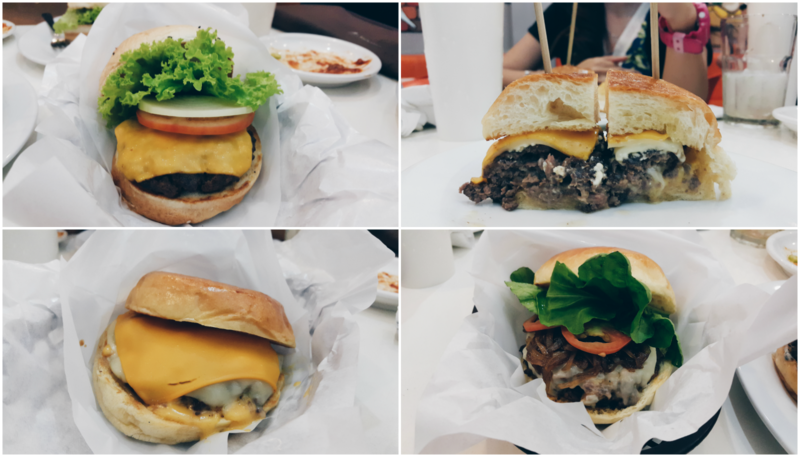 Things get even better because Charlie's recently launched 3 new burgers and we were able to try them all! Of course, their Black Angus Cheeseburger is already a classic and crowd favorite. Even though I love cheese on everything and cheese itself, my favorite out of the three, hands down, is the Foie Gras Burger. To me, its entirety is just so fragrant and flavorful. And the arugula was the perfect texture and taste to end every bite of it. It's so, so, soooooo good.